We all just met each other this weekend through the Team Formation Slack channel/speed-dating. Our skill-sets and interests varied greatly, but we all wanted to work with a new technology - VR. Originally we wanted to build an exhibit of human organs; this later changed to a "Where's Waldo" game featuring our beloved Vice President, Joe Biden, and his favorite dessert. Our uncommon senses of humor allowed us to share lots of laughter and learning. Our team is proud of being part of creating a VR world from bottom to top and using Oculus. We each individually learned new skills as well, whether it was working with Unity3D or deploying a website for the first time. Ask for help when you need it. It's that simple. 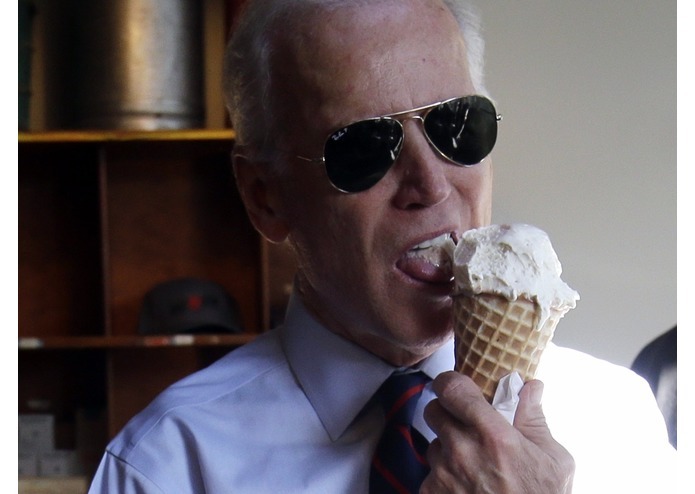 Wrote a script that retrieved tweets with Joe Biden and ice cream to be displayed on website. Learned the basics of working with Unity3D. I compiled all of the actual 3D visualizations & configured Unity to work with the Oculus, so I basically made the (entire) game. Worked on the Unity code to generate objects from a specific folder. I worked on using testnet and learning how to make a very beginner attempt at making a private blockchain in hopes of somehow making blockchain work with Unity (found one way to use it -- for inner game commerce, create an economy within the game) but unfortunately I quickly found it was super difficult, no tutorials to be found, and our current game only has one user and no way to incorporate blockchain in a way that makes sense at this stage of our game. I learned a lot about blockchain and practiced hashing using the Bitcoin blockchain. Oh, and found the cool Biden memes used in our game!! Built the website (HTML/CSS/JS)- implemented Bitcoin donation and itch.io API widgets. Worked on graphics, deployed a website for the first time, and learned how to use Github with Terminal.